Thursday Throwdown: Summer Is Coming! 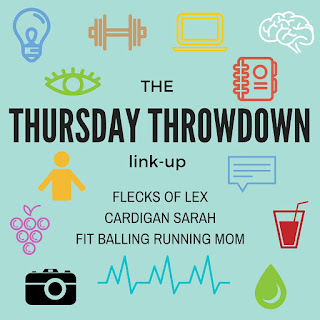 Exciting news, you guys: The Thursday Throwdown is moving to a weekly format! Woohoo! Hopefully that will make it much easier for you lovely people to link up with us when you want. This month, we'll be focusing on summer, especially since June straddles two seasons. Last summer, I got the chance to do a lot of outdoor activities for the first time, or for the first time in a long time. I got a chance to try stand up paddleboarding and kayaking on the same day, and I had the chance to play some grass volleyball and go for a long bike ride with friends. Last summer rocked! This summer, you have a lot to live up to! Each year, around this time, I am trying to reconfigure what I pack for workouts/runs. I take things out of my gym bag that I won't need for months (e.g. my running gloves), and add in things that I haven't used in months (e.g. my handheld water bottle). I stock up on sunblock and bug spray (which I forgot to buy at CVS again, despite my fear of Zika), and I pack an extra razor in my gym bag since I have a lot more exposed skin this time of year. :-| I need to pump up my outdoor volleyball, since it has been so sad, collecting dust and God knows what else in the trunk of my car. It's a fun and exciting time! Remembering to reapply sunblock and hydrate sufficiently throughout the day are the two crucial things for my summer fitness success. I have a lot more focus in general in the summer, especially when it comes to my running habits, but these two things always take a few weeks to get used to. Case in point: I got sunburned on my forehead last week because I forgot my sunblock before I hopped in the car, opened up the sunroof, and sang along to Drake's new album (shamelessly). I made a point to load up my volleyball and gym bags with sunblock, and I also keep sunblock in my car and near my bedroom door. Honestly, I don't know where all of these sunblock canisters are coming from, but they're all pretty full! But enough about me! 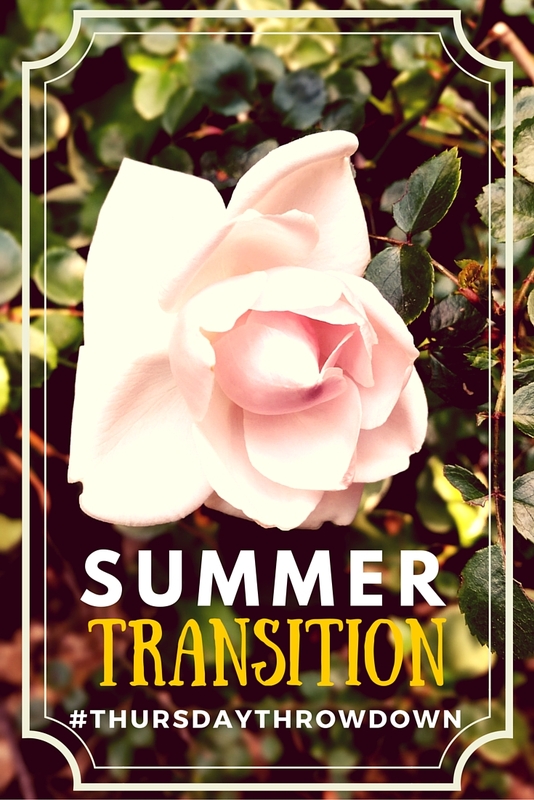 I want to hear how you all are transitioning to your summer fitness activities! Share your answers in the comments below, OR link up with us as part of the Thursday Throwdown Linkup! Oh! Oh! And something super awesome! Link up with us throughout the month of June, and earn bonus entries for a prize pack we'll be announcing at the end of the month! 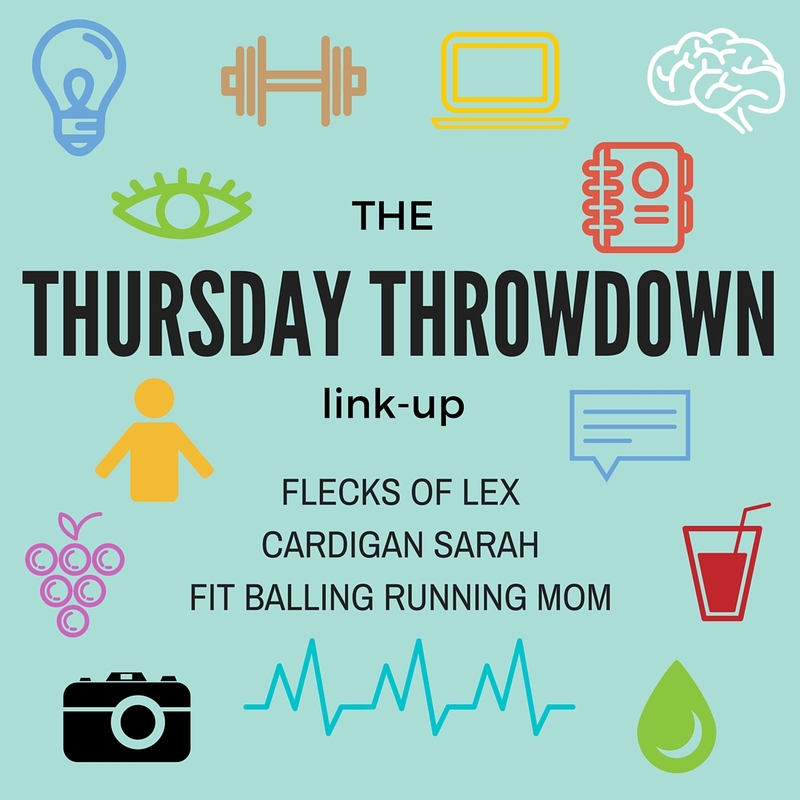 Forgot the rules for the Thursday Throwdown Linkup? Find all of the info you need here. Next week's theme: Summer Vacation Plans! Oh man, summer is my favorite in Boston! Now that I'm doing more powerlifting and not running, I can't do a ton of my fitness outside, but good weather does mean lots more walking. I can't wait to incorporate more of it into my commute and on my lunch break. The one time I visited Boston was in the summer, and it was so beautiful outside! I'd like to get back there and do some more exploring. Totally with you on the hydrating/sunscreen thing. I need to be better about that! It's so easy to forget, but easy to remember after one bad experience with forgetting! I keep forgetting to repurchase sunscreen! Get on it, girl! Your skin will thank you for it! Thanks for the reminder to hydrate and reapply sunscreen during summer fitness. I mean I should be doing these things year round but I sometimes forget. I've never tried stand up paddleboarding but it looks so fun! I love that there are even yoga classes on them now. And I'm totally with you on the sunscreen - just stocked up on some the other day. It's definitely harder than it looks, but it's a great core workout! sunscreen is on my list. I need to swap out the winter for summer running gear for sure, and stock up on some new running & yoga tanks. I LOVE practicing yoga outside - it's so grounding! I am so excited about summer too! I've been working out a lot outside since it's warmed up. It was a long winter in Maine! I am soooo excited for Summer!! Sunblock and water....in every bag that I have especially now that the temps are getting warmer. I burn so easily and I hate that feeling! I'm Starting to Love Running Again! © 2015 Flecks of Lex. Kiersten Template designed by Georgia Lou Studios All rights reserved.